Cambuslang Bowling Club was established in 1874 and in 2010 became an equal membership club, this evening at the club AGM history was made when Past Lady President Ann Phillips became our first lady Club Secretary. 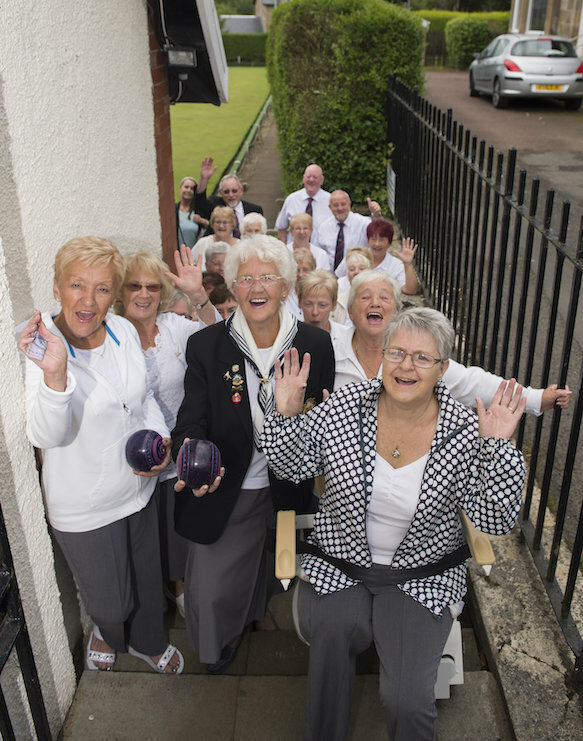 Past Lady President Nancy MacDonald was left "heartbroken" at no longer being able to visit our bowling club, but the place that was her second home is now back with her thanks to a donation by Haddington-based Acorn Stairlifts. Two years ago 74-year-old Nancy suffered a heart attack and after spending 10 months in hospital, had to have her leg amputated. 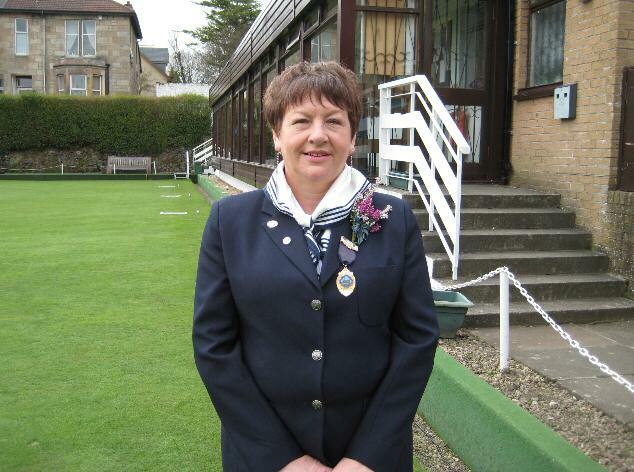 Nancy has been a member of Cambuslang Bowling Club for almost 30 years, serving as its Lady President three times, but becoming an amputee meant she could no longer go bowling as there was no way to access the club. "The people at the bowling club are like family to me," said Nancy, "so having to come to terms with not being able to go to there anymore was absolutely heartbreaking. I was used to getting out and about and having my independence and suddenly that was all taken away from me." Recognising how vital this hobby was to Nancy's quality of life, her sister Jean Blackstock made it her mission to find a solution. 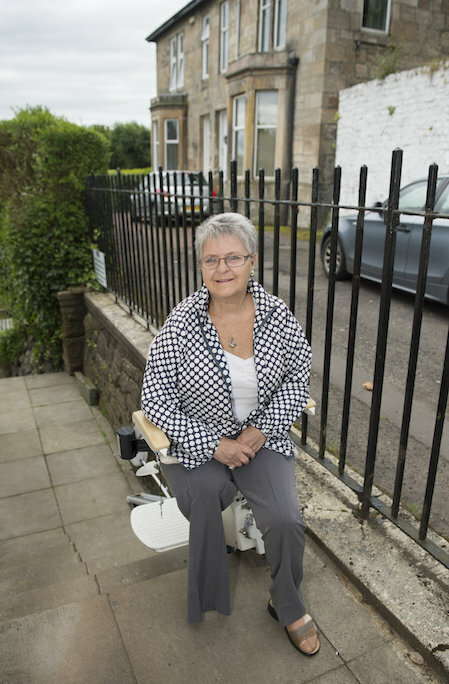 Jean said: "Only a few weeks ago I came across a leaflet for Acorn Stairlifts in the local pharmacy and I was surprised to see an outdoor stairlift existed. The bowling club itself didn't have the funds to install the stairlift, but we gave Acorn a call anyway to see if there was anything they could do. "To our surprise, the company called us only a few days later to say that they would donate an outdoor stairlift. The club just had to raise funds for the service contract, which it managed to do. I can’t begin to tell you how ecstatic we all are." Acorn Stairlifts installed the stairlift from its Haddington factory at the end of June and Nancy has already been back to the club to enjoy her hobby again and meet up with her pals. "Having this stairlift installed has made a huge difference to my life as it means I have my independence back," said Nancy. "I am so pleased with Acorn and the quick service they provided – I’ve written a letter to the company to tell them how thankful I am." Acorn Stairlifts employs more than 200 people at its factory in Haddington, near Edinburgh, and is the only company manufacturing stairlifts in Scotland. Exporting to more than 80 countries, it is a world leader in the design, manufacture and installation of straight and curved stairlifts, including a fully-weatherproofed outdoor model. Thanks to its pioneering FastTrack® system, Acorn Stairlifts can be installed within a few days, even next day if required. Company Secretary Dave Belmont commented: "When we received the call from Nancy’s sister Jean, it became very clear how compelling her situation was. Attending the bowling club regularly isn’t just a hobby for Nancy, it’s a way of life and key to her maintaining her independence. "With our FastTrack® installation service, we were able to have the stairlift installed at the bowling club within a matter of days. We’re thrilled to have helped make such a difference to Nancy and her family." friends and fellow bowlers showing their support!